A LOW HORIZON VIEW OF ALL THAT ENTERS MY MIND. A PERFECT union: part fountain pen and part pencil. Sure there may be a pencil camp and a pen camp however the real magic happens when one is able to combine the two together. One such way to do this is to repurpose fountain pen caps into unique, attractive pencil tip protectors. 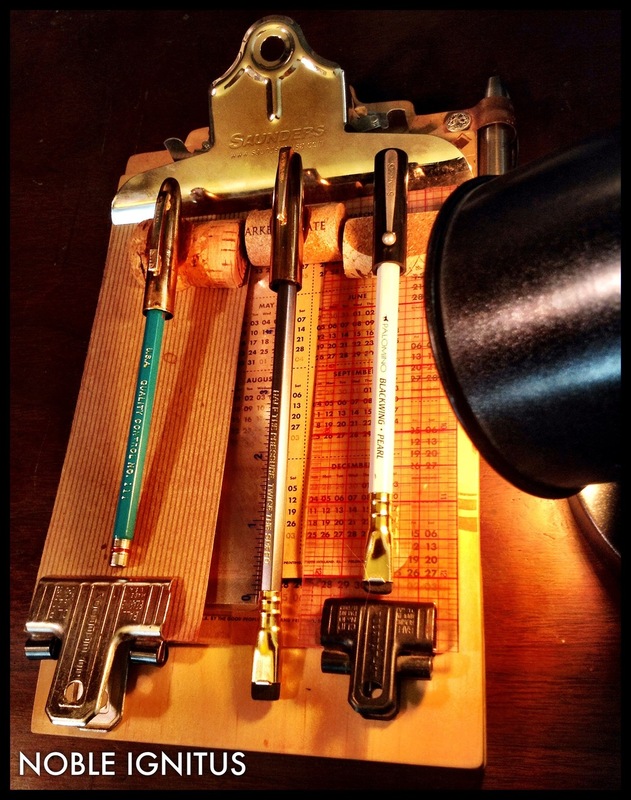 I am always looking for ways to give retired tools a second life. In this post, I will show two simple ways to turn an abandoned fountain pen cap into a snug fitting and practical pencil tip protector. Snug here means that there is maximum contact at both ends of the cap (at the tip and at the opening). When these two points are in firm contact with the pencil then it will not be able to slide off accidentally. The need for two techniques comes from accommodating the different types of cap constructions. Frankenwriter: repurposing fountain pen caps into secure and attractive pencil tip protectors. The canned insulating foam technique is best for those pen caps that have no inner cap assembly at the end. That is the internal cup that takes up the extra room at the end so the nib sits snuggly in the cap. Essentially this just means the cap is a big empty void that will need to be entirely filled with material so the pencil will not float around. Insulating foam is pretty damn amazing stuff. The key tips to using this material is that it is VERY sticky. If any clean up is necessary it is best to do so when the foam is very wet. Using acetate or even Goo Be Gone will make short work of any messes. These cans come with a straw nozzle which you will want to insert all the way into the fountain pen cap before spraying. As the cap fills with foam just retract the straw nozzle. The foam will come out fast so this process takes only the briefest of moments. Immediately wipe off the excess to below the end of the caps opening. This is also the time to wipe up any spills that may have happened. Even after wiping the foam will continue to expand. This foam that is in contact with the air will cure rather fast so just keep an eye on how much is coming out for a minute or two. There will be a little foam bubble that extends past the cap. Let this bubble cure. It is best to not keep wiping as the foam cures, only when it is really wet. After curing, a quick cut with a craft knife will make a nicely level finished surface. After cutting off the bubble you will want to take your "sharpened" pencil of choice and insert into the center of the cap. Slowly push through until you reach the end of the cap. Tip: With pencils coming in so many different diameters, I recommend picking a particular diameter that you will want to use with this particular fountain pen cap. Often I just match one specific pencil to one specific fountain pen cap. Although I am done at this time, I do add a little black to the foam. The black creates a shadow look that reduces the emphasis of the foam and more on the beauty of the cap. The final result will hold your favorite wood cased pencil VERY reliably. The fit is so snug there is not a chance it will fall off. The foam holds up to use well. If there is a need to refresh the foam then it can happen at any time without any special prep work: just spray the new over the old, cut, blacken and done. The second technique is for those fountain pen caps that do have a snug internal cap fitting. This means only the opening part of the cap need to be worked. This old Shaeffer's inner cap seats my Blackwing pencils perfectly at the tip. Two small green felt pads stuck to just inside the opening of the cap is all that is needed to create a strong point of contact (between cap and pencil). Leaving about a 1/32" space from the end of the barrel to the pad will be enough to keep the pad hidden in the shadows. Perfectly centered this pencil also fits very snuggly. There is not a chance this cap will just slide off, unless by your own intention. In the end, both of these techniques will give you a dependable way reuse that retired fountain pen cap.